More samples from FR3B for me. Hip hip hooray!!!! More loots for me from FR3B concept store. Aren’t they gorgeous??? Our first destination was FR3B concept store, where I grabbed some free samples for myself. It was indeed a fruitful trip. 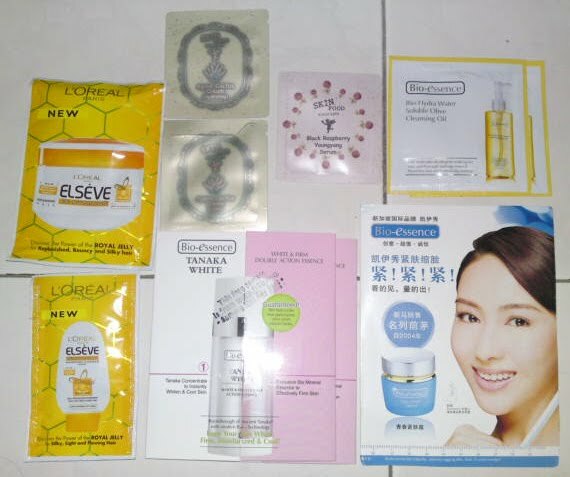 The Bio-essence Tanaka White White & Firm Double Action Essence and Bio-essence Bio-hydra Water Soluble Olive Cleansing Oil were the latest 2 samples available in the concept store. 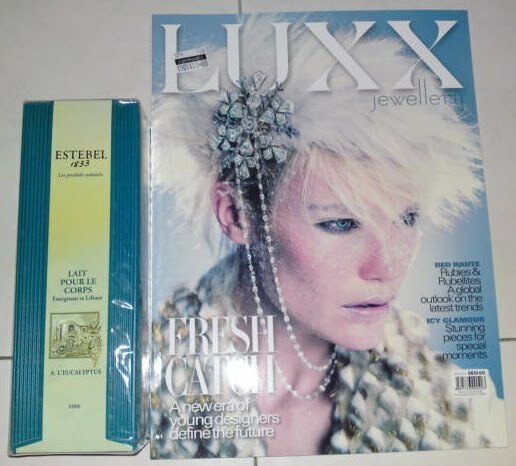 We then took the mrt down to Prologue Bookstore at Ion Orchard, where I bought a copy of Luxx magazine to get the free bottle of Estebel’s luxurious Eucalyptus Body Milk Cream worth S$90 (200ml). Stopped by Aji-sen to have enjoyed a meal of hot ramen and to rest our tired feets before heading up to Kinokuniya to grabbed more magazines. I simply can’t resist buying magazine with gwp. Finally, its time to head back home. It had been indeed been a wonderful day shopping with mummy dearest, and am so looking forward to another one with her soon. Went down to FR3B to collect my loot from their xmas online private sales. 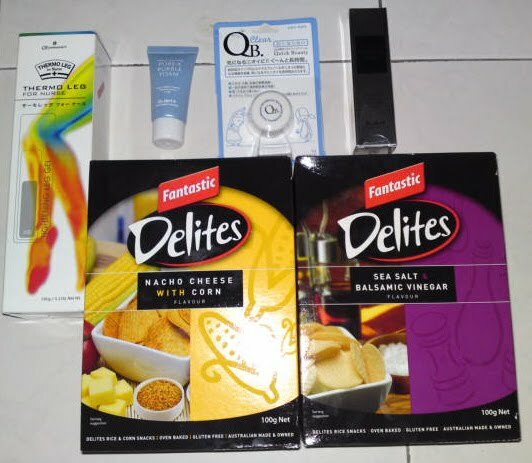 Bought some items to be shared between mummy dearest and myself. 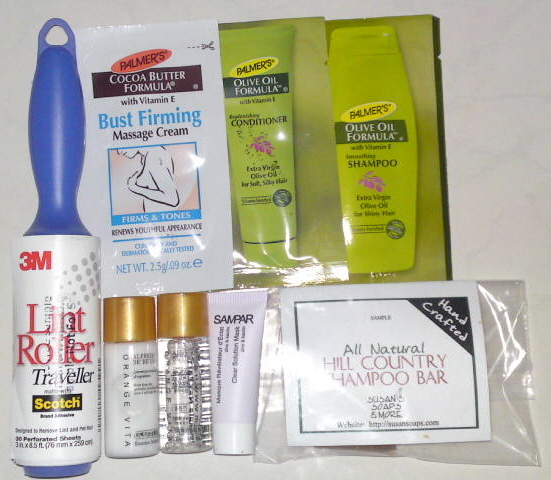 And not to forget, the freebies that comes with my purchase. 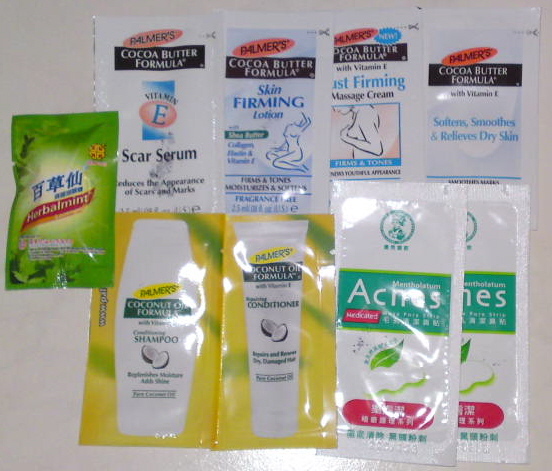 Thanks to FR3B for organising such wonderful online sales. Hope you will be organising more of such wonderful event again. 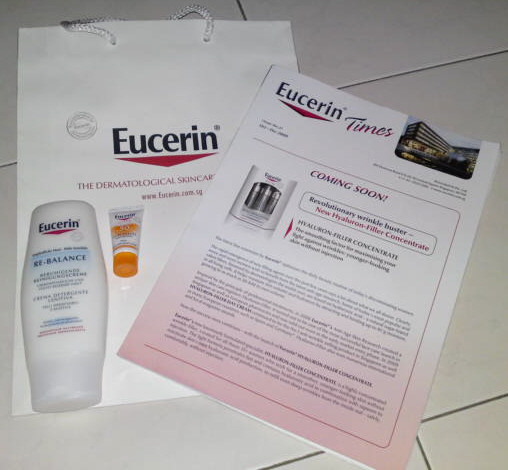 Was very rejoice to be able to attend such a wonderful workshop co-organised by FR3B and Eucerin. Upon arriving, we were lead to our seats by the friendly staffs. Through the workshop, I’ve learned about the various harms that UV rays did to our skin and how to prevent it. After almost 45 minutes of serious talk, its time to take a short break. Quite a wide spread, aren’t they???? 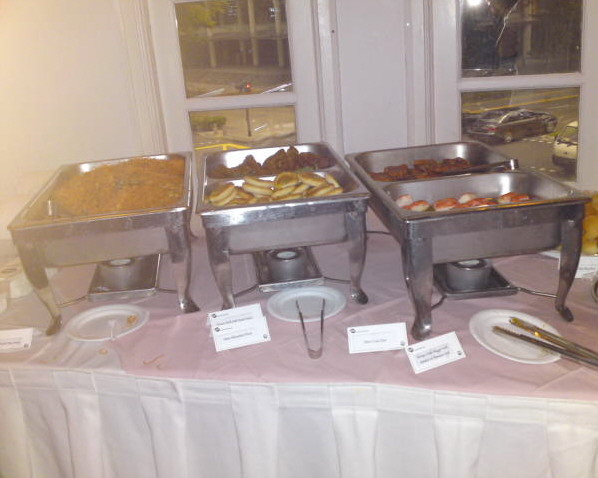 The foods were awfully delicious. My friend and I simply adore the brownie and eclaire. 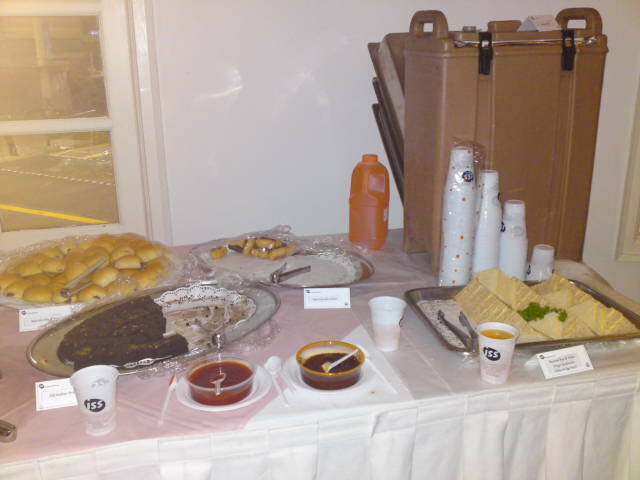 As you can see from the picture, both items were almost gone when it’s finally my turn to attack the foods. After eating, my sister and I started to loiter around the sales table, looking for bargains. All products sold during the event will be given a 20% discount. I was quite tempted to buy all their products, but sadly was unable to due to budget. 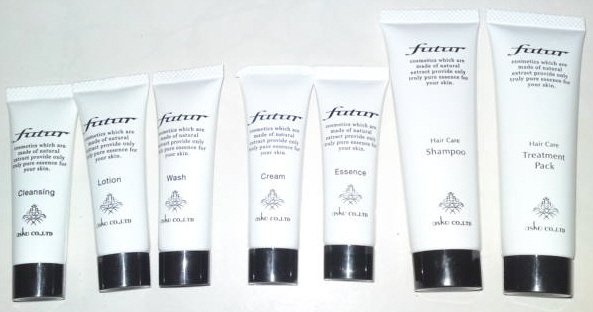 While struggling to decided between the cover stick and the cleansing gel, my dearest sister offered to buy them for me as xmas presents. That is so sweet of her. The extra scrub was a freebie for purchasing over S$50. After the short break, the session resume and this time we were taught the correct way of putting on sun fluids and its benefits. It was indeed helpful. Our goodie bag at the end of the session. 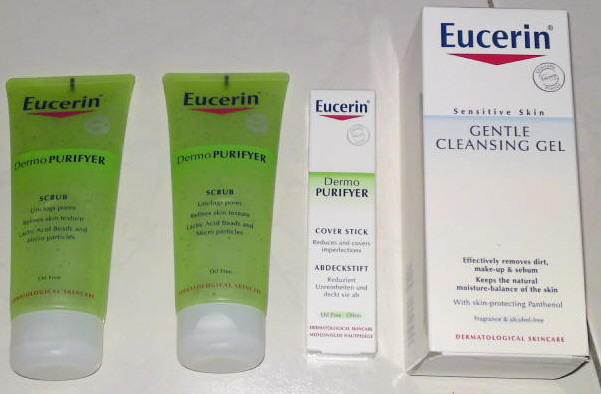 A million thanks to both FR3B and Eucerin. It had been a very fruitful workshop. Am so looking forward to more such events in the coming future. Bring my mum out to enjoy a round of spa treatment before we embark on our journey to collect samples. Our first destination is FR3B, where i pick up some new samples that were put up for grab recently. 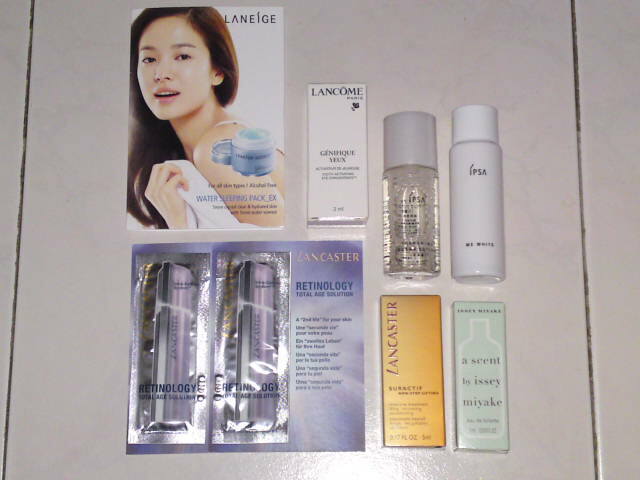 Next is TANGS Orchard to get myself some makeups for the coming xmas party. 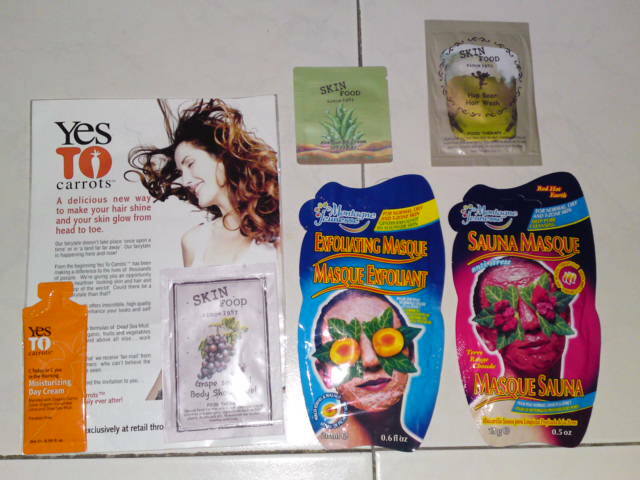 Didn’t buy much but the sales assistant were very friendly and gave me some samples to try out due to my concern about sensitive skin. 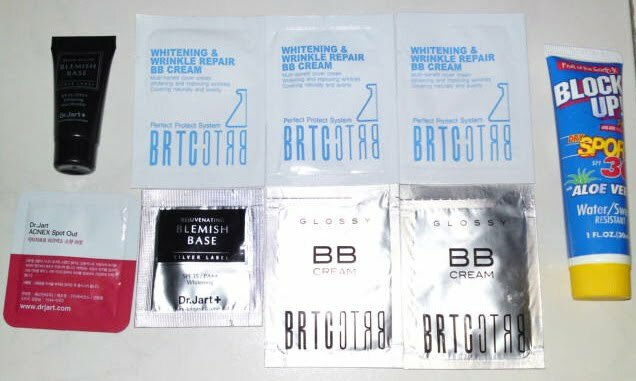 Here’s the samples they gave me. They are such sweet angels. It was indeed a fruitful trip. We walked all the way from TANGS Orchard to Plaza Singapura and stopped by Ajisen for dinner before we have the energy to continue. 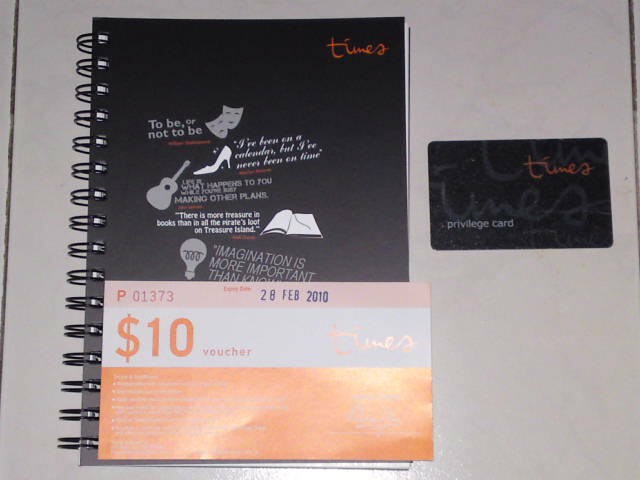 Went to Times Bookshop to renew my membership card was was given a $10 voucher and a notebook. And spot this babe while waiting for my card at the cashier counter. 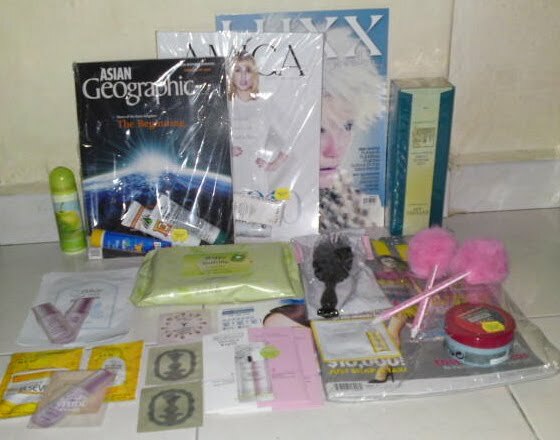 With every purchase of My TLB mag issue Nov/Dec 2009 and get a free goodie bag. Bought 2 copies- one for my sister and the other for myself.